Have you ever tried to do something new in your life and failed? Perhaps you wanted to take up a new hobby. You might have tried to re-orient your career in order to make a bigger contribution to the world. You might be one of the millions of people who want to get fit, lose weight, or stop smoking. You have discovered for yourself that changing your behavior is hard. What you may not realize is that behavior change is hard because your brain is exquisitely organized to help you achieve your goals. That means that if you want to change your behavior, you have to fight against your brain to develop new habits. If you want to win that fight, you should come armed with knowledge about the way your brain helps you to achieve your goals. Of course, the behaviors you have developed were not build in a day, and you will not change them overnight. It will take a lot of work. To help you along the way, Smart Change introduces you to your Smart Change Journal, which you can use to help yourself to prepare for the changes you want to make in your life. The book will guide you through the process. Download a free copy of your Smart Change Journal here. The same principles that you use to change your own behavior can also be used to help other people to change their behavior. Smart Change also explores how to take the tools of behavior change and use them to influence the people around you. Smart Change: Five Tools to Create Sustainable Habits in Yourself and Others will be published on January 7, 2014. "...this book doesn’t just help you to understand yourself. It is full of tools to help you change your behavior. When you work through the unusual exercises in this book using your own Smart Change Journal, you will create new habits at home, at school, or at work. You’ll reorganize your life, and be on your way to a healthier you, and not just for the next week. This book will have lasting impact." -Author of RealAge: Are you as Young as You Can Be? "[4 stars] If you are serious about changing habits, read this. It is written in an insightful yet accessible style." "As he showed in "Smart Thinking," Markman has a knack for writing clearly and sensibly about our thought processes and habits. He realized, however, that making change is difficult for nearly everyone, mainly because there are so many temptations. So he sets out to show us how our brain works and tries to unlock the mysteries of motivation." "Essentially, Markman has taken the generally haphazard process of change and created structure around it. And the structure is sound. Smart Change is more than a work with a pretty cover; it’s as intelligent and illuminating as its title implies. It is, you could say, a manual on how to improve our lives with broad, strong brushstrokes — and colorful, hopeful ones at that." "Markman is...a respected pop culture expert...That has a lot to do with book's snappy pace and appeal...Smart Change is not a personal story or memoir. Readers will enjoy the level of specificity to change old habits." "Technology promises to make our lives easier and more efficient, but too often it has just the opposite effect – we feel rushed, harried, “always on,” and we take refuge in bad habits like procrastination. If this sounds like you, you need to try SMART CHANGE. It’s based on the science of motivation and designed to tap into our habit-forming circuits and use them to create a more satisfying life." "Art Markman’s smart, engaging, quirky book will teach you how to do more of the things that make you healthy, wealthy, and happy, and less of the things that don’t. Smart Change is an important book that’s also a delight to read." "A smart book for all of us who have tried to change our behavior and failed. Markman leverages the latest scientific research on habits and motivations to offer a practical guide to successful behavior change. 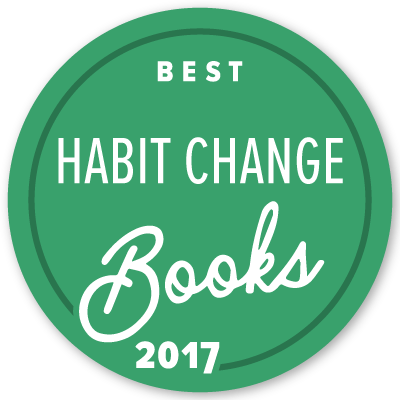 In an engaging, easy-to-follow style, the book explains how habits thwart our best intentions but also help us to realize our goals. Markman starts with the insight that repeated, consistent kinds of failures are the real challenges in life, and then walks the reader through a series of simple steps to optimize goals. As Markman explains, changing our behavior often involves changing our environments so that it’s easy to repeat desired actions and they become the habitual, default response. " "Smart Change presents the science and practice of what might be the toughest job that people take on — to change themselves. Enlivened by stories from daily life as well as the headlines, five clear and actionable steps outline the most effective ways that people can change their habits, minds, and bodies. Recognizing that behavioral change is not easy - but also not impossible - this book's combination of cutting-edge research and narrative story telling gives insights that are sure to stick." "Smart Change achieves a rare feat - integrating the very latest science in an accessible, practical framework people can use to bring about lasting behavior change in themselves and others." "Giving up smoking is one of the best things you can do for your health, but if you have tried and failed, you may need to change your approach. The author believes the key is to change your behavioural patterns--only then will you be able to break the negative cycle for good."